This entry was posted in osde and tagged font, kannanda, linuxlite, xubuntu on 01/03/2018 by osde8info. This entry was posted in osde and tagged 16.04.01, desktop, distro, gnu/linux, lts, ubuntu, xubuntu on 01/09/2016 by osde8info. This entry was posted in osde and tagged scrollbars, ubuntu, xubuntu on 29/10/2014 by osde8info. This entry was posted in osde and tagged eol, ubuntu, xubuntu on 24/04/2013 by osde8info. This entry was posted in osde and tagged virtualbox, virtualisation, vmware player, xubuntu on 14/04/2013 by osde8info. 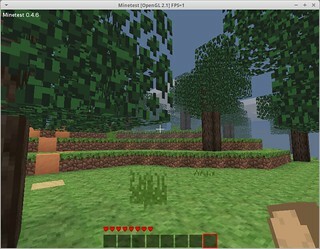 This entry was posted in osde and tagged block game, game, game engine, infinite world, minecraft, minetest, multi-platform, open source, sandbox game, xubuntu on 12/04/2013 by osde8info.